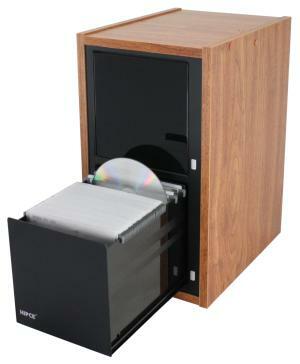 Hold 200 CD/DVD with two-side sleeves; Push button to activate the battery-free glide-out motion device. Filing system, index card included, sleeves with writable numbered-hangers for quick search. Easily stack with enclosed pins.